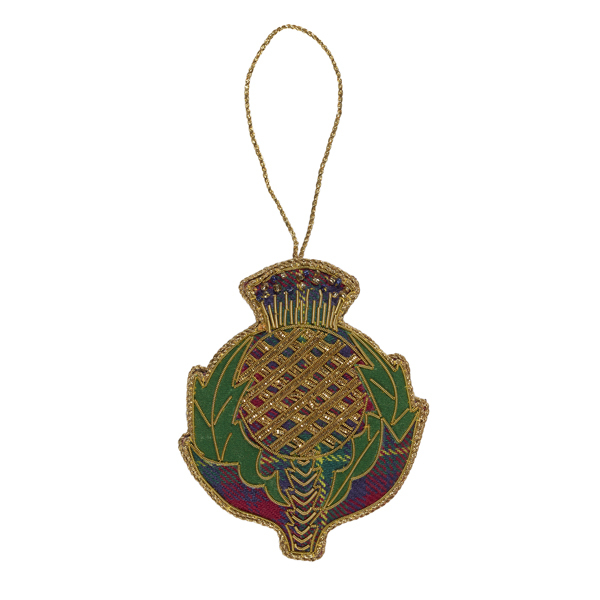 The 3-dimensional decoration features a thistle on a tartan fabric with intricate bead and embroidery work. 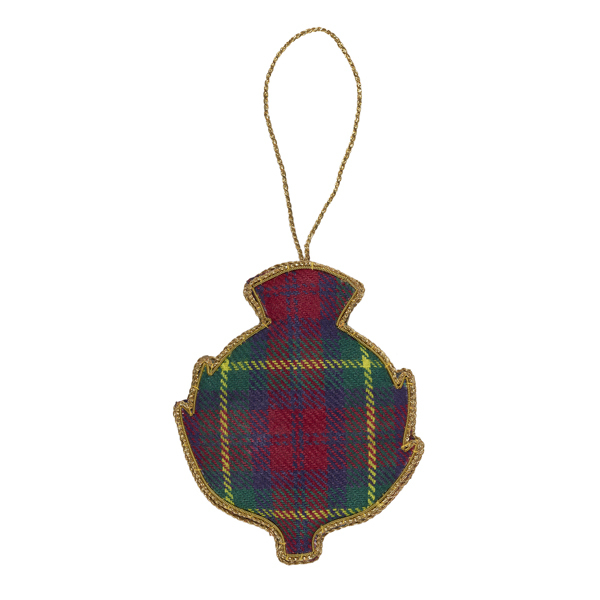 Tartan fabric on reverse. St. Nicolas specialises in bespoke decorations, all handmade, and the time taken to make each one is reflected in their unique quality. They have worked for 25 years with a small Christian charity in Thailand that helps disadvantaged rural women find work in their community, rather than being forced to leave home to work in a factory. Today, some 200 skilled women work at home sewing St Nicolas decorations, and many of them have been doing so for more than 10 years. St Nicolas Indian decorations are made using the traditional method of zardozi embroidery. Zari (meaning gold) embroidery originated in Persia and reached India in the 12th century. It is a highly skilled embroidery technique that traditionally used gold wires and jewels to embellish courtly robes. Zardozi work is a rare and respected craft, the skills of which are handed down from generation to generation. This bookmark cross-stitch kit includes a 15 Count stitchband, embroidery floss, a chart, instructions, backing, and a tassel. 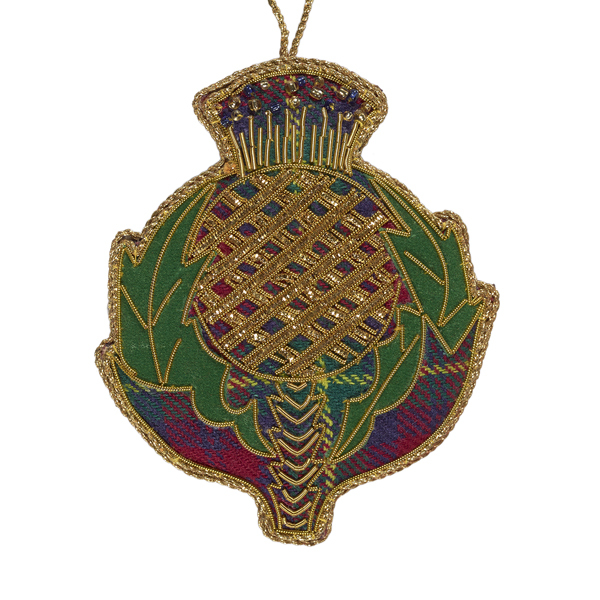 The design features three victorian thistles.